In the last six years, Mr. Schultz has obtained over $500 million in verdicts and settlements including 70 cases in excess of one million dollars and multiple eight figure cases, including a $160 million trial verdict for a traumatically brain injured client, a $36.5 million trial verdict for a spine injury client, a $34.5 million trial verdict for a leg amputee, a $22.5 million settlement for a brain injured client, a $20.5 million wrongful death verdict, a $17.4 million verdict for a mild traumatic brain injured client, a $17.1 million verdict for a leg amputee client, a $14 million verdict for 21 year old suffering thoracic back fractures and chronic pain, a $10 million verdict for the wrongful death of a three-year-old child, a $10 million settlement for the wrongful death of a 14-year-old child, and a $10 million judgment for a 50-year-old leg amputee victim. 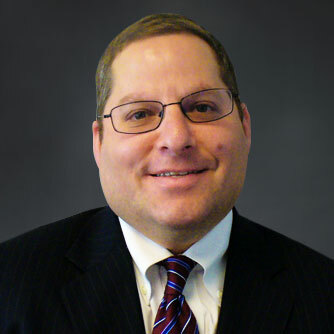 Mr. Schultz graduated from Loyola Law School in 1990 and obtained his undergraduate degree from UCLA in 1987. He resides in Newport Beach, California, with his wife, Alexandra, and his three children, Andrew, a graduate from his alma mater, UCLA, Christian, a senior at Loyola Marymount University and young Elliot, who just is in first grade. Mr. Schultz enjoys family, friends and golf.